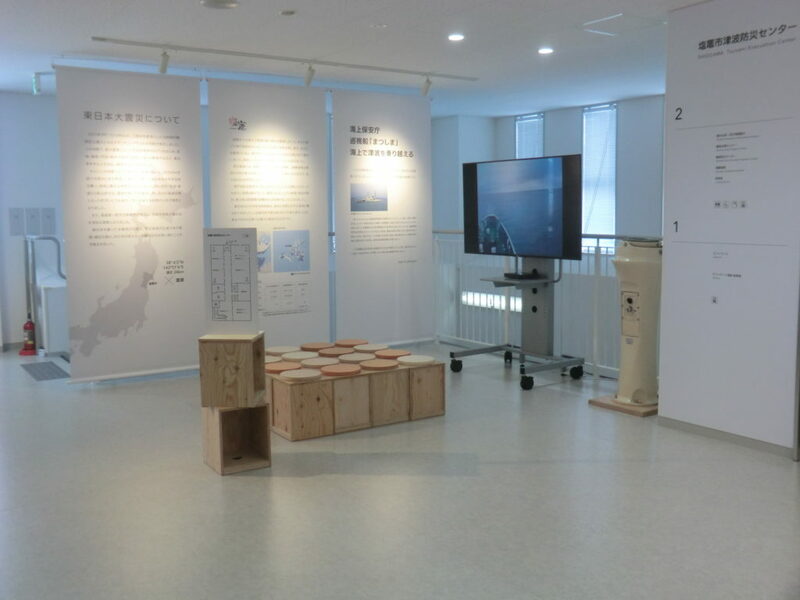 Exhibits including records from after the earthquake occurred and efforts related to disaster prevention and reduction. 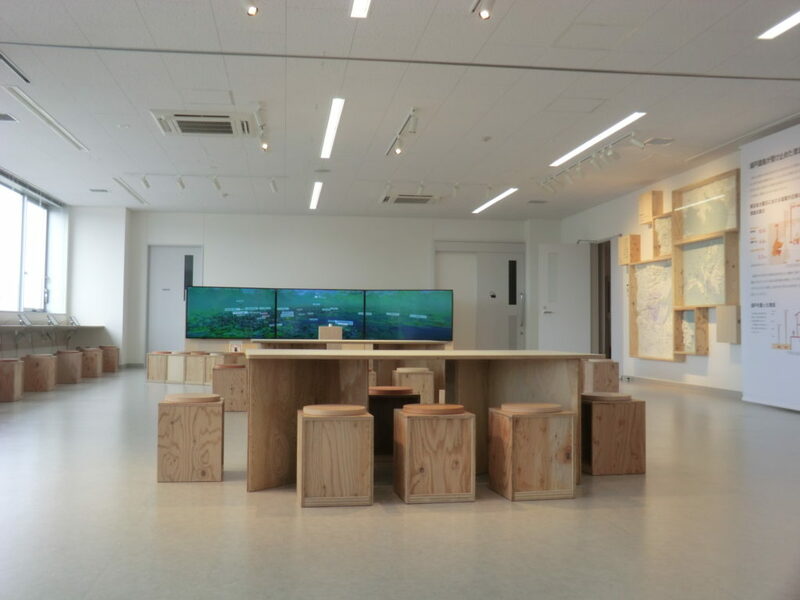 ・Easy-to-understand contents are arranged and exhibited showing seven days after the disaster occurred. By understanding this situtation, strategies and lessons regarding disaster prevention can be learned. 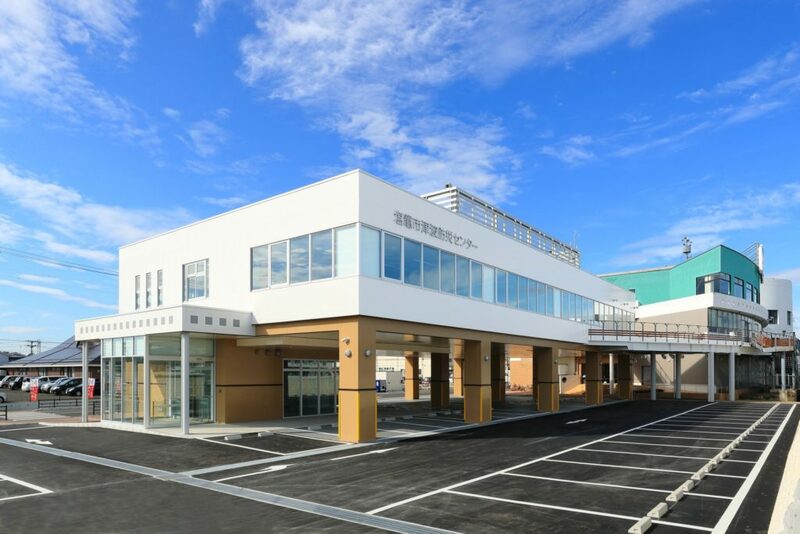 ・With an animation using an image of the city at the time of earthquake disaster as a background to help explain the situation, subjects related to disaster prevention knowledge are selected in order to make learning easy. ・The topographical differences between Shiogama City and other cities, which is one reason for the differing levels of damage, can be seen with a three-dimensional model. By telling about the situation of each day in terms of "what happened?" and "what did people do?" in the middle of turbulent times, we would like participants to think about "what is necessary?" as a lesson and prepare for disasters which may happen in the future.